A US restaurant has launched a trio of cocktails laced with cannabis, highlighting a growing trend within the alcoholic drinks industry. Jason Eisner’s Sour T-iesel – a twist on a Tequila sour laced with CBD – an oil extracted from the Marijuana plant. 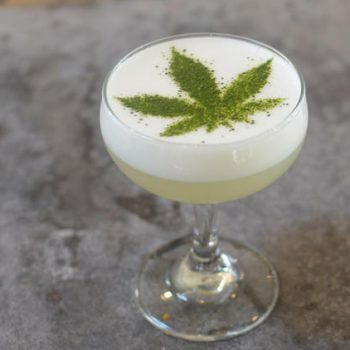 Crafted by Jason Eisner, head bartender at West Hollywood’s Gracias Madre, the cannabis-infused cocktails contain CBD – an anti-anxiety property found in marijuana. CBD, which can be bought in health food shops, is an oil that can be extracted from any part of the plant and is credited with helping to ease anxiety, minimise seizures and calm people experiencing psychotic episodes. It is different from THC, which is extracted from the marijuana flower or ‘bud’ and stimulates a psychoactive effect. This compound requires a medical marijuana card to purchase legally. Prior to Gracias Madre, Eisner worked with Los Angeles bartender Jaymee Mandeville at Drago Centro LA and held managerial positions at New York bars including Bubby’s in Tribeca, Jerry’s in Chelsea, and the Film Center Café in Hell’s Kitchen. His collection of $20 cannabis cocktails include the Stony Negroni, which is comprised of gin, Vermouth, Amaro Contratto Aperitivo (similar to Campari), a spoonful of port and a dash of CBD. Sour T-iesel meanwhile is a twist on a Tequila sour, comprising Tequila, lime agave nectar, mint, sage leaves, Aquafaba (vegan equivalent of egg white), a dash of CBD and Matcha green tea powder dusted in the shape of a cannabis leaf. Completing the line-up is the Rolled Fashioned, made with Bourbon, Mezcal Anejo, cinnamon, sarsaparilla syrup, Peruvian tree bark, vanilla bean, star anise and a dash of CBD. It’s served with a vegan churro. “This is culinary use, not recreational use or medical use. It’s different and I think we’ll be seeing a lot more of this in the future,” said Eisner speaking to the Daily Mail. “For centuries, cannabis properties have been used for its healing qualities, but the weed has also been lumped in with cocaine and other hard drugs as something bad and psychotic. the drinks business reported on predictions of a cannabis cocktail trend earlier this year, which appears to be gathering pace. Legal marihuana sales accounted for roughly US$7 billion in 2016, according to anecdotal initial estimates highlighted by Euromonitor’s Spiros Malandrakis in recent analysis for the drinks business on the pros and cons of cannabis-laced alcoholic drinks. “With conservative projections estimating a near fourfold increase in legal cannabis sales in the medium term, there is no question that the industry – still in its infancy – will soon become a much greater disruptor than the once ignored craft segment ever was,” said Malandrakis. 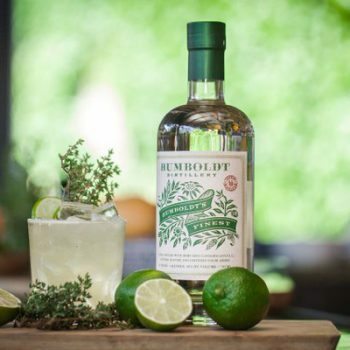 Malandrakis cited Humboldt’s Finest cannabis vodka from Redwood Spirits as an example – a spirit made with food-grade hemp from Oregon and currently only on sale in California and Colorado. Earlier this year Colorado-based brewer Dude’s Brews, announced its Canna-Beer series, which will feature a range of “CBD-rich, cannabis-infused” beers. It came following the drug’s legalisation in the state of Colorado in January. More than two dozen US states have already decriminalised medical or recreational use of cannabis with that number expected to only rise further. this is not a trend when companies are using non-reactive HEMP.. which is better known for uses in the industrial rope, paper, cosmetic and cancer treatment industries. Hemp never got anyone stoned.. nor will it ever. it is not the same thing as CANNABIS.. but funny as it might seem, the public is blind to that fact.. they only see the Cannabis leaf and immediately think- oh, this will get me stoned..
friends.. you might as well smoke some sailboat rope.. or a page from a book printed on hemp paper.. the effect will be exactly the same.